Notorious for his eclectic mash-up mixes on BBC Radio 1 and BBC Radio 1Xtra, few DJs can craft a mix quite like Jaguar Skills. 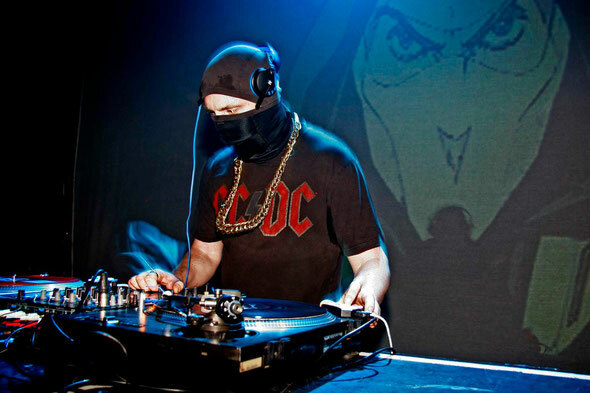 A musical ninja with a secret identity, his fast and furious sets are an aural assault of every tempo; from house to D&B, and everything in between. His new release on Ministry of Sound Records. ‘Jaguar Skills & His Amazing Friends Vol 1’, captures the intensity and deft mixing skills of his live sets that have seen him become one of the most in demand DJs in the world. His unstoppable rise in 2012 has continued with high profile performances at summer festival shows including Bestival (where he curates the Bollywood tent), Global Gathering, Reading, Leeds, Wireless, Lovebox, Creamfields, Parklife and beyond. 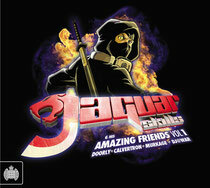 Jag’s career began with a mixtape CD for fashion label Maharishi. The 60-minute CD was created, looped, produced and cut entirely on two mini Walkmen. The mix and ensuing buzz caught the ear of Jade Jagger, who requested Jag as resident DJ for her world famous Jezebel parties. Following a production for US mega rapper Lupe Fiasco (‘We Love You’), Jag put out a unique mixtape that put his profile into the stratosphere; ‘1979-2006: A Hip-Hop Odyssey - 800 Tracks In 45 Minutes’ mixed every hip-hop hit from 1979 to 2006 in order of release, from the earliest to the most recent. The mix was downloaded 1 million times in one month and subsequently went on to become an integral part of Radio 1's hip-hop anniversary celebrations. Elsewhere at Radio 1, and in addition to his ongoing feature on Trevor Nelson’s show and his quarterly ‘In New DJs We Trust’ slot, Jag’s commissions include the ‘Gaming Mix’ (which saw him mix retro game tunes with works from some of the biggest recording artists in the world to create a unique musical experience), a ‘History Of D & B mix’ and also a ‘History Of Ayia Napa’ mix. This musical output led to Island Records requesting a mix for Devlin and also receiving the Gold Award 2010 @ New York Radio Awards for his BBC World Cup Mix. Joining him on the release, Jaguar Skills has assembled a formidable gang of his friends featuring Doorly, Calvertron, Murkage, and DJ@War. Each DJ has put together a mini-mix of mash-ups for CD2. It’s out 27th August.